Hello friends! How was your weekend? 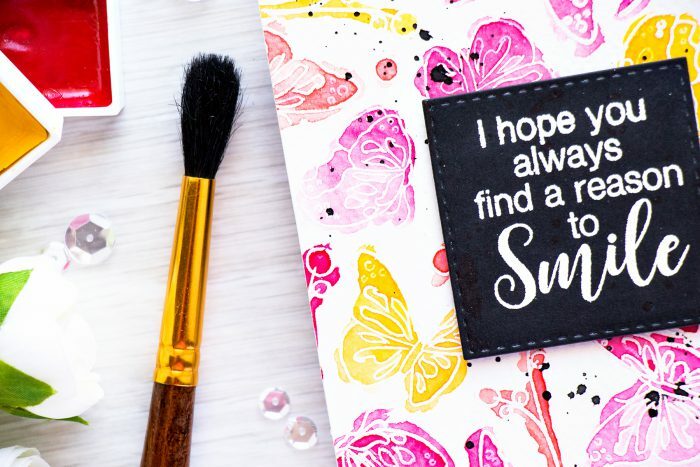 I had a very productive one – made several cards, cleaned up a bit in my craft corner, did a little bit of gardening on the balcony. 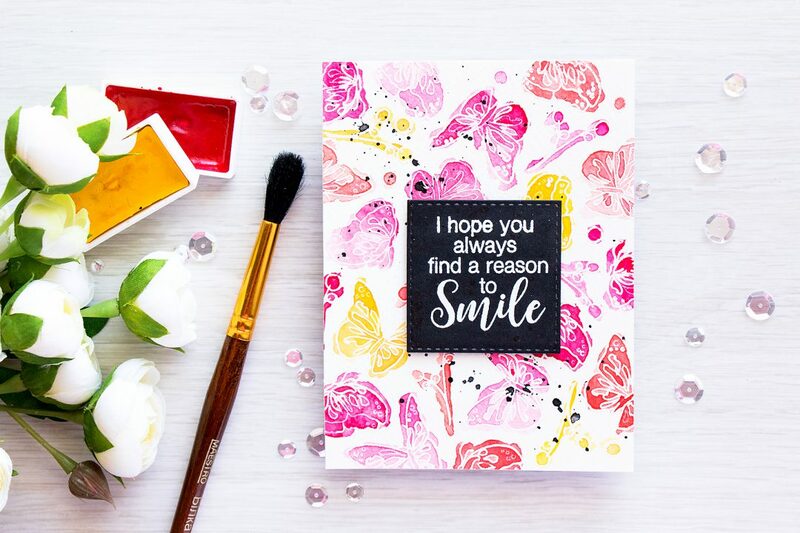 I’d like to share one of the cards I made over the weekend – this one features some loosely watercolor butterflies and a fabulous sentiment – Hope You Always Have a Reason to Smile. 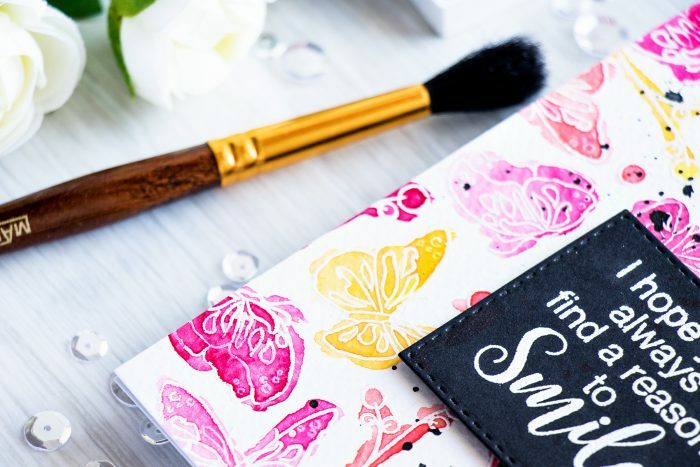 I started by heat embossing butterflies and a branch from the Friendship Blooms set in WOW white detail embossing powder onto watercolor paper. I worked in sections, stamping and heat embossing a portion of the background at a time. Once the entire background was embossed I loosely watercolored images using my Gansai Tambi watercolor set. I also added some black watercolor splatter to make it more messy and to add some movement to the card. 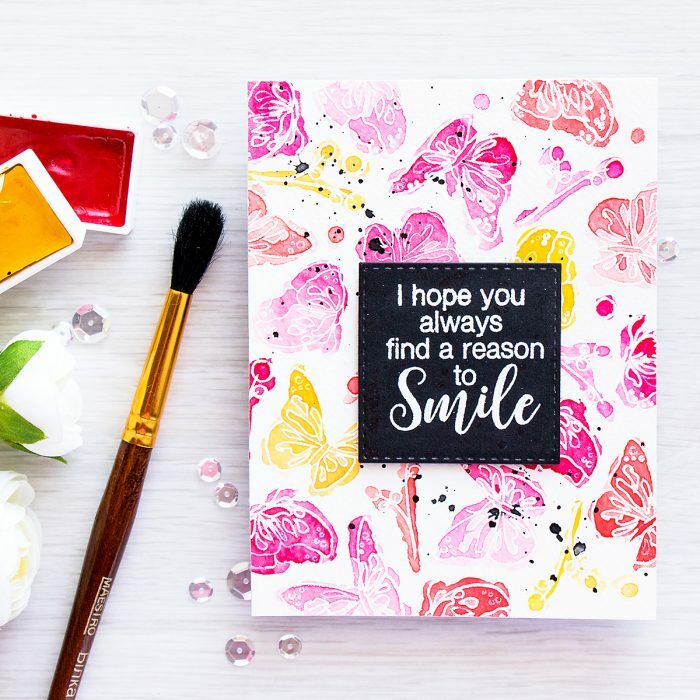 As for the sentiment I went with my current favorite one – I hope you always find a reason to smile. I embossed in in white over black die cut square. My watercolor background was adhered onto an A2 white card base and the sentiment panel was foam mounted on top using black foam squares. Very pretty watercolour. Love the colours. That sounds like a perfect weekend! This is really beautiful Yana. A lovely sentiment as well. So beautiful! The coloring is amazing!! !